This is a facsimile edition of Thomas Potts' book of 1612 covering the trial of the Pendle Witches, which took place at Lancaster Assizes where he was the clerk of the court. It provides a fascinating primary source for anyone interested in witches. Facsimile of the book of 1612 which is the only contemporary record of the witch trials, including intriguing witness accounts. Essential reading for all those with an interest in the subject. Nearly 400 years after they were tried, there is still huge interest in the Lancashire Witches. 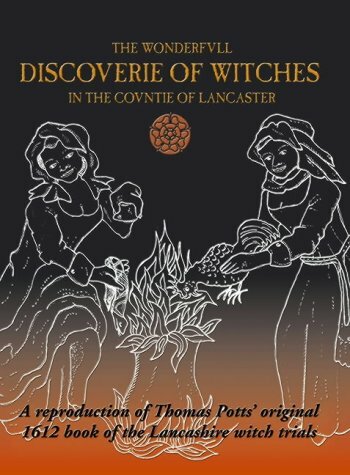 Their activities, arrest and trials have been the subject of many books, none of which could have been written without reference to Thomas Potts' Wonderfvll Discoverie of Witches in the Covntie Of Lancaster. Previously only available in libraries and museums, Potts' book has been reproduced here from the original. A unique and invaluable reference work.